Bestselling Author of "Red Notice"
Bill Browder Speaker: Bill Browder is the founder and CEO of Hermitage Capital Management, which was the investment adviser to the largest foreign investment fund in Russia until 2005, when Bill was denied entry to the country and declared a “threat to national security” as a result of his battle against corporate corruption. Following his expulsion, the Russian authorities raided his offices, seized Hermitage Fund’s investment companies and used them to steal $230 million of taxes that the companies had previously paid. When Browder’s lawyer, Sergei Magnitsky, investigated the crime, he was arrested by the same officers he implicated, tortured for 358 days, and killed in custody at the age of 37 in November 2009. Since then, Browder has spent the last 5 years fighting for justice for Mr. Magnitsky. The Russian government exonerated and even promoted some of the officials involved so Browder took the case to America, where his campaigning led to the US Congress adopting the ‘Sergei Magnitsky Rule of Law Accountability Act’ in 2012, which imposed visa sanctions and asset freezes on those involved in the detention, ill-treatment and death of Sergei Magnitsky (as well as in other human rights abuses). This law was the first time the US sanctioned Russia in 35 years and became the model for all subsequent US sanctions against Russia. Browder is currently working to have similar legislation passed in Magnitsky’s name across the European Union. In February 2015, Browder published a book about his career, focusing on his years spent in Russia and the Russian government’s attacks on Hermitage Capital Management. Browder’s responses to Russian corruption and his support of the investigation into the death of his attorney Sergei Magnitsky are at the heart of Red Notice: A True Story of High Finance, Murder, and One Man’s Fight for Justice. A film adaptation written by William Nicholson is in the works. In July 2017, Browder testified to the U.S. Senate Judiciary Committee on Russia’s alleged interference in the 2016 US presidential election through use of persons in Washington, DC. On October 19, 2017, Canada enacted its own Magnitsky Act, which, like the U.S. Global Magnitsky Act of 2016, expands sanctionable entities to include any foreign nationals. On October 21, Putin placed Browder on Interpol’s arrest list. This request was rejected by Interpol five days later. That same day, Browder’s U.S. visa was revoked, effectively banning him from the United States. After a protest by U.S. Congressional leaders, his visa was restored the following day. 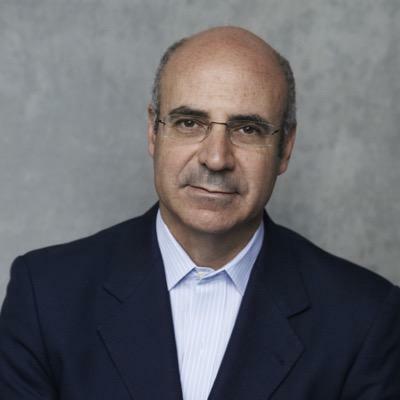 For availability and speaker fees, please contact Bill Browder’s speaking agent at Chartwell here, or call +1 972 385 1021 for U.S. inquiries or +44 207 293 0864 for international inquiries.